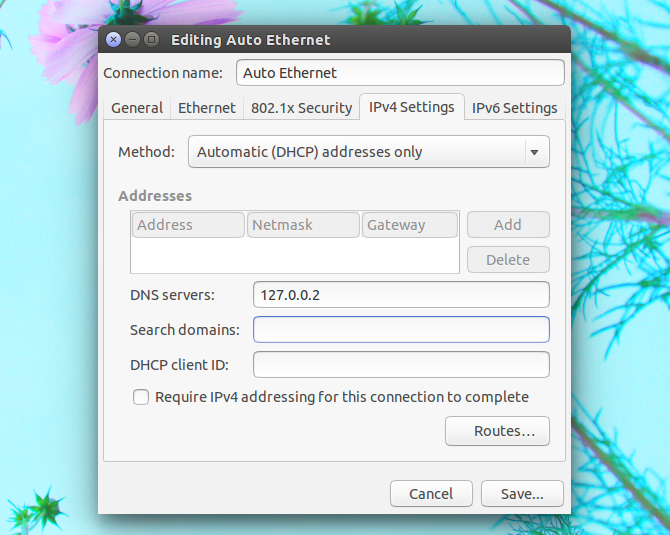 This article was posted a while back but I've decided to repost it because there's a new PPA that you can use to install dnscrypt-proxy in Ubuntu ( 14.04) and also, some parts of the article needed to be updated. DNSCrypt is a protocol for securing communications between a client and a DNS resolver, preventing spying, spoofing or man-in-the-middle attacks. To use it, you'll need a tool called dnscrypt-proxy, which "can be used directly as your local resolver or as a DNS forwarder, authenticating requests using the DNSCrypt protocol and passing them to an upstream server". Update: for Ubuntu 16.04, 16.10 and 17.04 / Linux Mint 18.x, DNSCrypt (dnscrypt-proxy) is available in the official repositories. The official Ubuntu DNSCrypt packages use OpenDNS as the default resolver. Thanks to Pascal Mons (work based on Sergey "Shnatsel" Davidoff's initial PPA, which doesn't have packages for Ubuntu 14.04 or 14.10 right now), you can easily install DNSCrypt in Ubuntu 14.04 / Linux Mint 17.x. His packages use 127.0.0.2 as the local IP address (like the now official Ubuntu packages) so it doesn't interfere with Ubuntu's default setup. Also, for extra security, the packages use a dedicated system user, with no privileges - DNSCrypt will chroot to this user's home directory and drop root privileges for this user's uid as soon as possible. The default DNSCrypt-enabled resolver used by Pascal's package is DNSCrypt.eu Resolver #1 @ The Hague, Holland. The resolver, along with other settings, can be changed by editing the /etc/default/dnscrypt-proxy configuration file (use "sudo service dnscrypt-proxy restart" after making changes to the configuration file). A list of public DNS resolvers supporting DNSCrypt can be found HERE (note that to get to the actual provider name, address and public key, you need to scroll to the right - annoying, I know). According to Pascal, he didn't use the US based OpenDNS resolver, because it keeps logs of the websites you visit and it hijacks the homepage on all browsers, redirecting any URL bar search to its own servers in some cases, which does not happen with the DNSCrypt.eu servers. If you want to add DNSCrypt support to your own public or private resolver, check out DNSCrypt-Wrapper, a server-side dnscrypt proxy that works with any name resolver. Note: the PPA description provides information on how to check the authenticity of the code used for building the packages. 2. 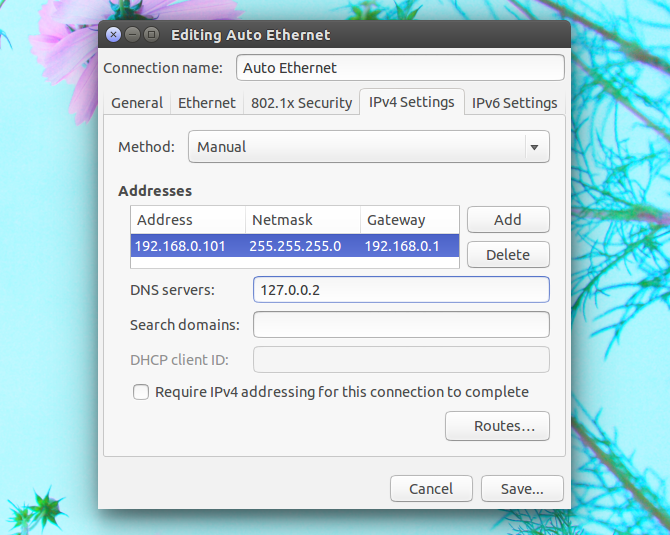 After installing DNSCrypt, you need to set your network connection DNS server to 127.0.0.2. 3. And finally, restart your network connection (under Unity: select Network indicator > Enable Networking twice to disable and then re-enable it) and web browser. You may want to check if the "127.0.0.2" DNS is actually in use (it needs to be the only DNS) - to do this in Unity, from the Network indicator select Connection Information. debug.opendns.com. 0 IN TXT "server m2.otp"
debug.opendns.com. 0 IN TXT "source [REDACTED-YOUR IP]"
debug.opendns.com. 0 IN TXT "dnscrypt enabled (717473654A614970)"
... and then visiting some website in your web browser. Tip: DNSCrypt can be used with Unbound or dnsmasq (I didn't test it though) - for this and other tips, see THIS ArchWiki entry. Do not modify anything else in this file! Once you're done, save the file and exit (if Nano is your default console editor, press Ctrl + O, then Enter to save the file, then Ctrl + X to exit). ... and from this file, remove the "After=network.target" line without modifying anything else, then save the file (if Nano is your default console editor, press Ctrl + O, then Enter to save the file, then Ctrl + X to exit). seen @ desdelinux.net, thanks to Pascal Mons for the PPA!